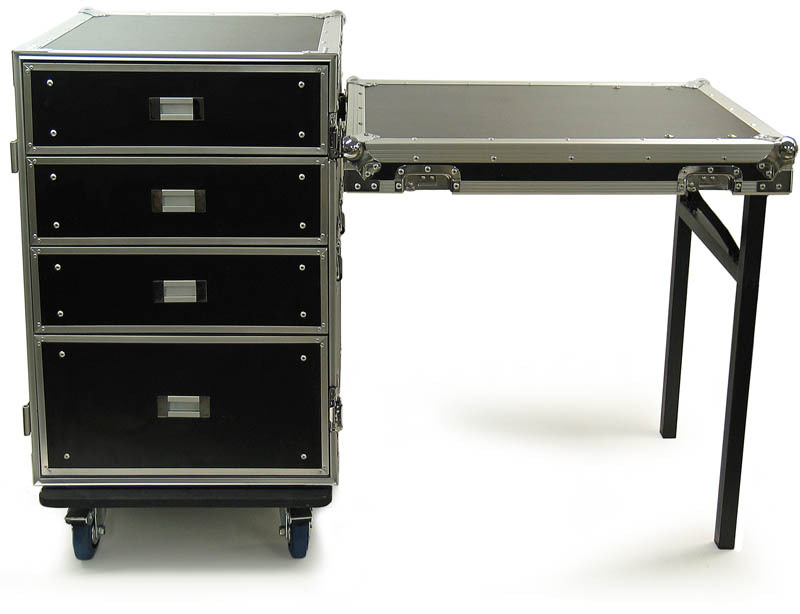 Model DR002H-2T case shown above with table attached. 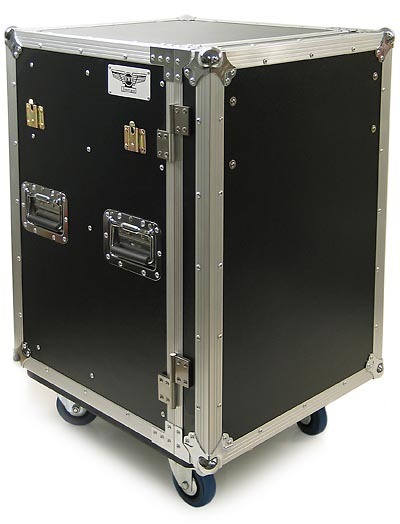 This is the EWI Tourcase tm Model DR002H-2T tool case which is a rolling road case with four drawers and a removable, hinged front door that attaches to the case to form a tabletop. 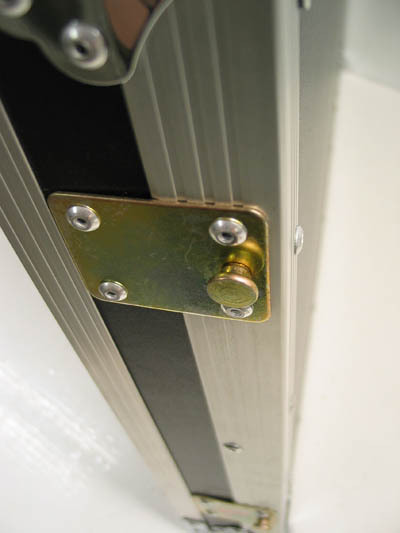 The door houses the steel table legs which fold flat when transporting. The spring assisted legs fold down and lock into position to form a tabletop that is 30 1/8" tall. 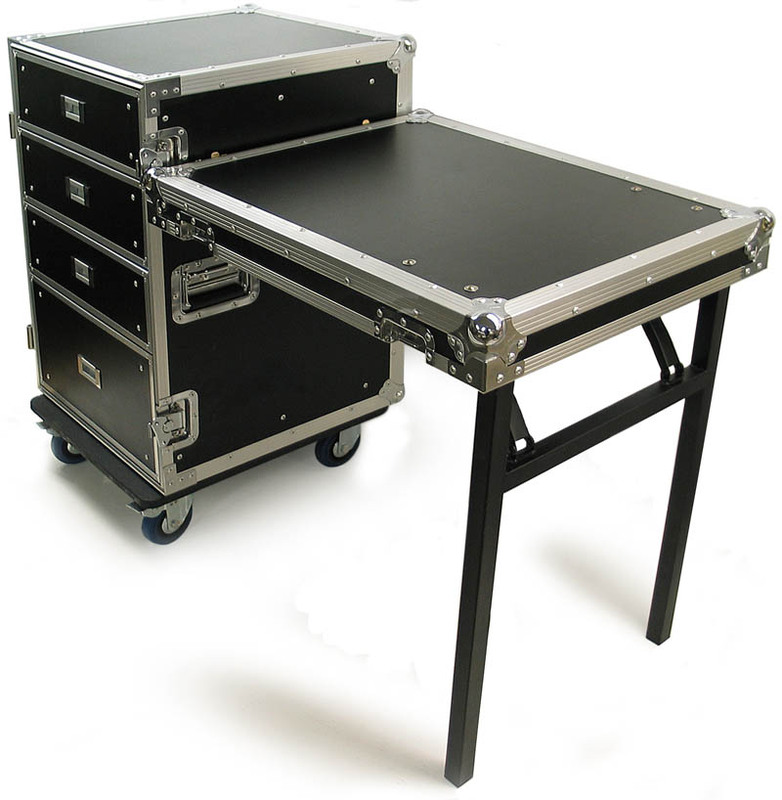 The table attaches to either side of the case with two heavy duty hooks on the lid and two brackets on either side of the case. 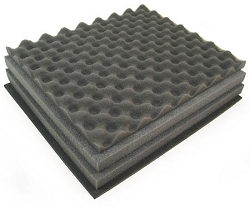 The DR002H side panels are constructed with 3/8 inch hardwood plywood and covered with a black ABS laminate finish. 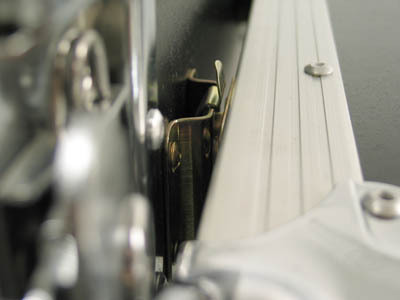 The aluminum rivets on the 4 recessed padded flip handles are backed with washers to ensure strength and durability. 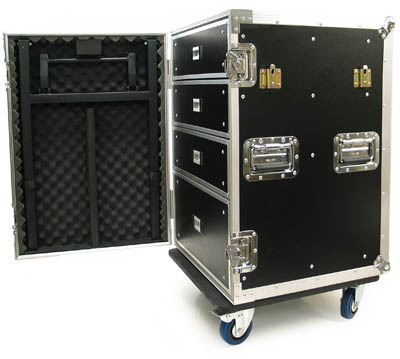 The case rolls on 4 heavy duty 4" swivel casters, two of which are braking style. 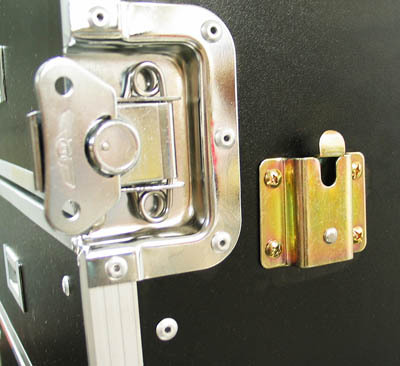 The casters are shipped un-mounted with all mounting hardware included. The 4 drawers are mounted to the case with slide rails. The top 3 drawers are 4 1/2" deep and the bottom drawer is 8 1/2" deep. All 4 drawers measure 18 1/8" from front to back and 17 3/8" from left to right on the inside. The drawers are fully padded on the inside with thin close-cell foam. 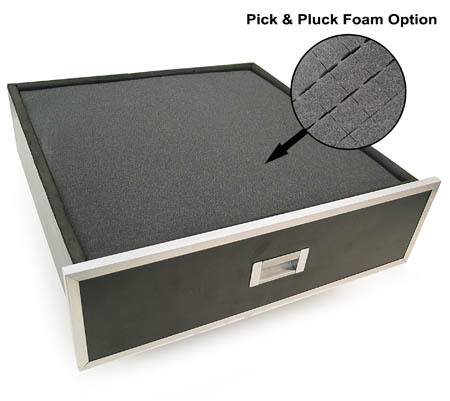 We now have available "dice cut" Pick & Pluck foam sheets cut to fit the DR002H drawers. 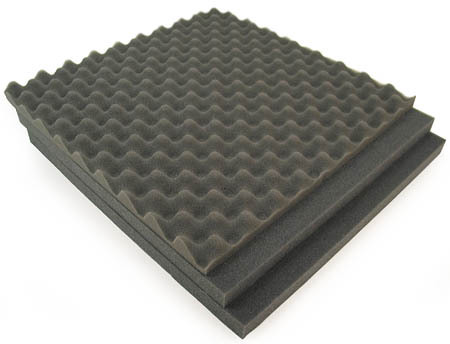 A single set of foam consists of 2 sheets of pick & pluck and 1 sheet of egg crate foam. Each sheet of foam is 1" thick so the smaller drawers would need four sheets to completely fill them and the large drawer would need eight sheets. You can buy as many sets as you like to customize each drawer. These are well made, heavy duty job-site tool boxes. 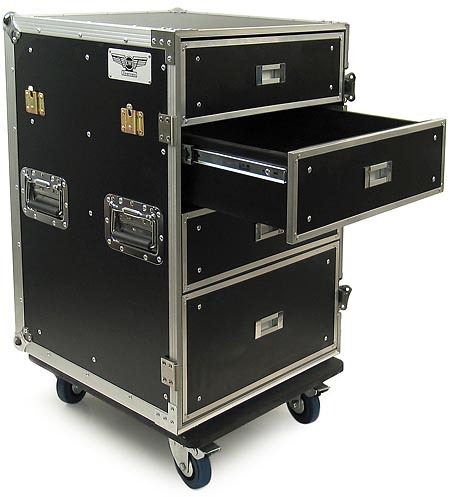 Portable tool box with built in workbench for job sites.